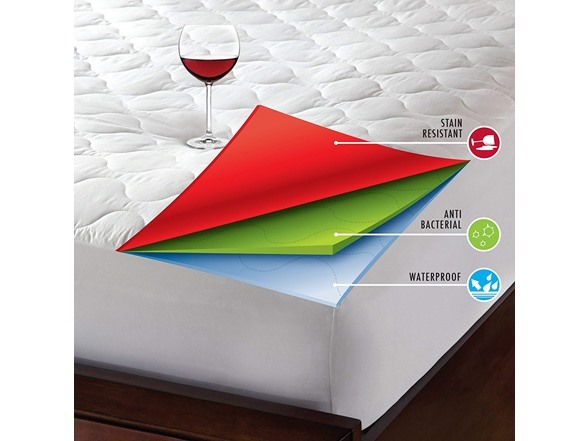 Our Triple protection mattress pad boasts Triple protection for your mattress with a stain resistant and water repellant top fabric and a waterproof back fabric to fully protect your mattress. 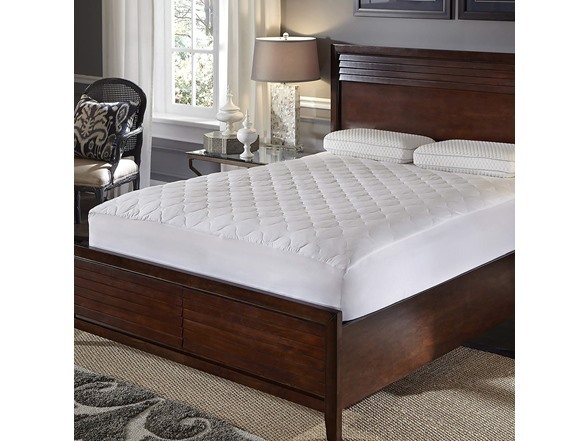 Covered in a supremely soft 180 thread-count 100percent microfiber fabric cover, decorative onion quilt stitch construction and an integrated stretchy skirt, fitting mattresses from 18-20 inch deep, to help keep your mattress pad in place while you sleep. 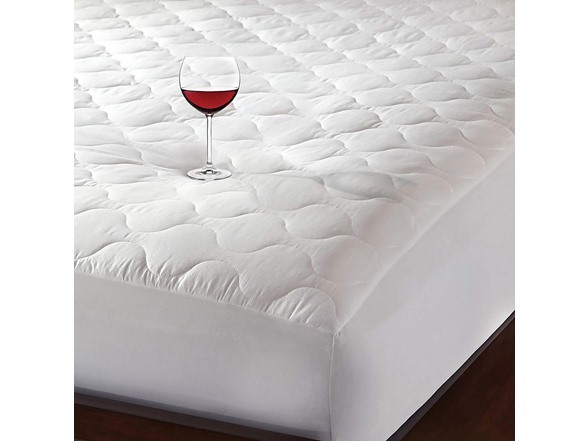 The top fabric stain release and water repellant Treatment protects the outer fabric from stains and spills making it easier to keep your mattress pad looking fresh and clean and your mattress protected. FABRICS treated for stain release allow liquid spills to be easily be wiped away when blotted with a clean cloth and most stains to be removed without a trace during normal laundering or cleaning.